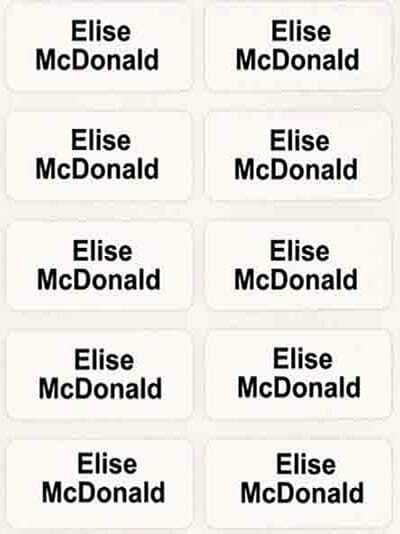 Stick on clothing name labels that are easy to apply and really work. Developed specially for clothes. No ironing, no sewing. Ready for dispatch within 48 hours. Strong adhesion to last many washes: 13mm x 30mm. Tested for 30 washes at 40 °C according to BS EN ISO6330. 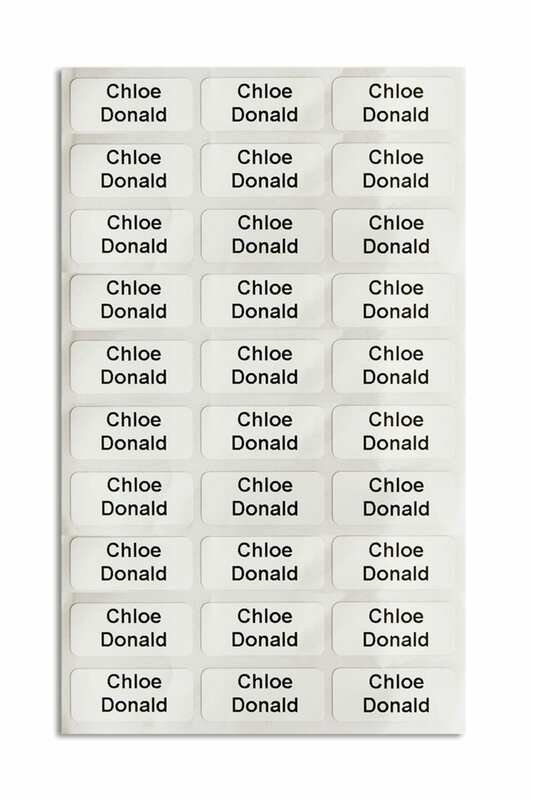 Great personalised stick on clothing labels for school clothes. 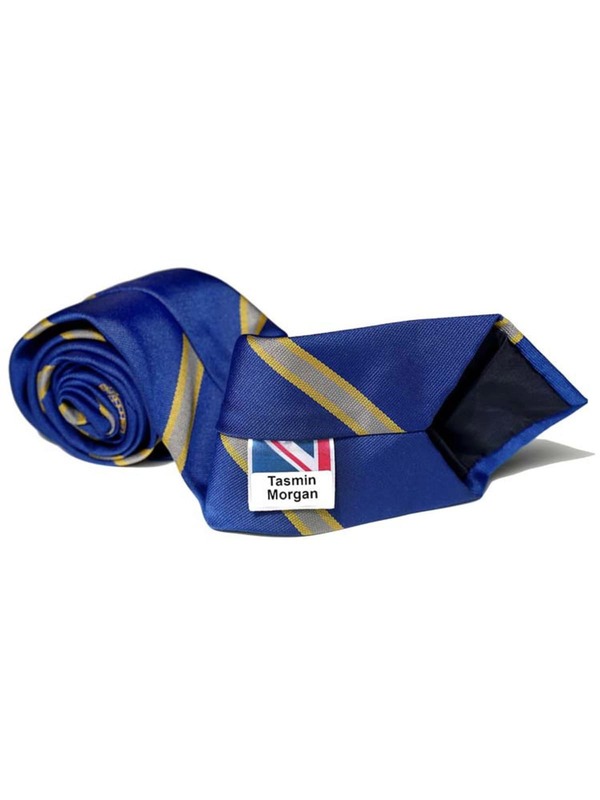 Easy and quick to apply, fast delivery in the United Kingdom. 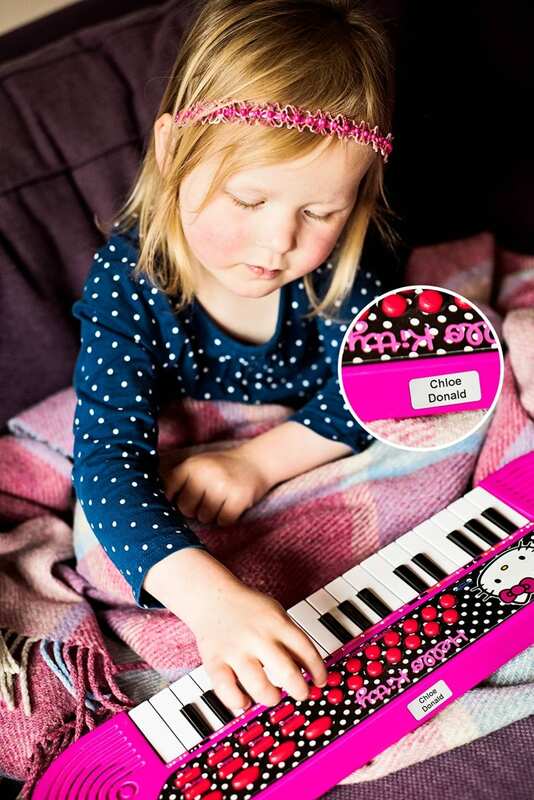 These personalised stick on clothing labels are the easiest way to label your clothes. Simply stick these adhesive labels on the care labels of your clothes. No need for an iron, needle or thread. 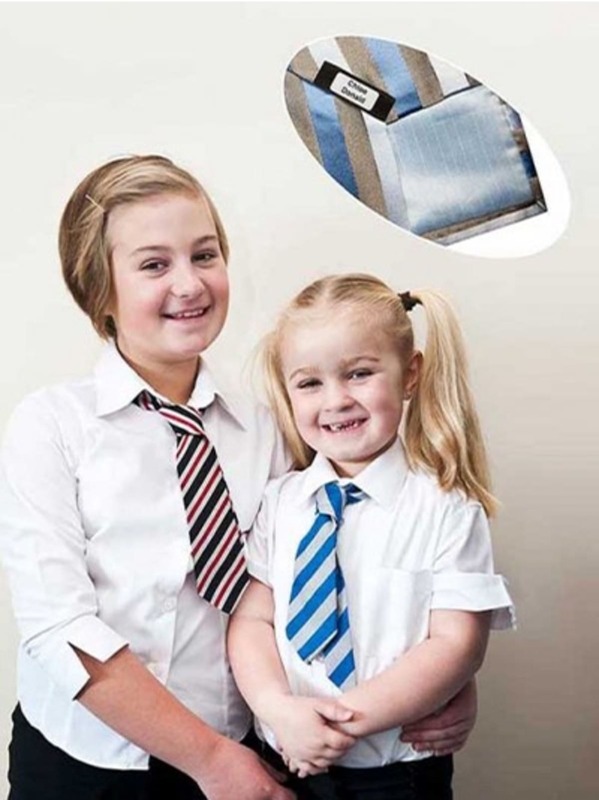 High quality Stick on clothing labels for school made in the UK. 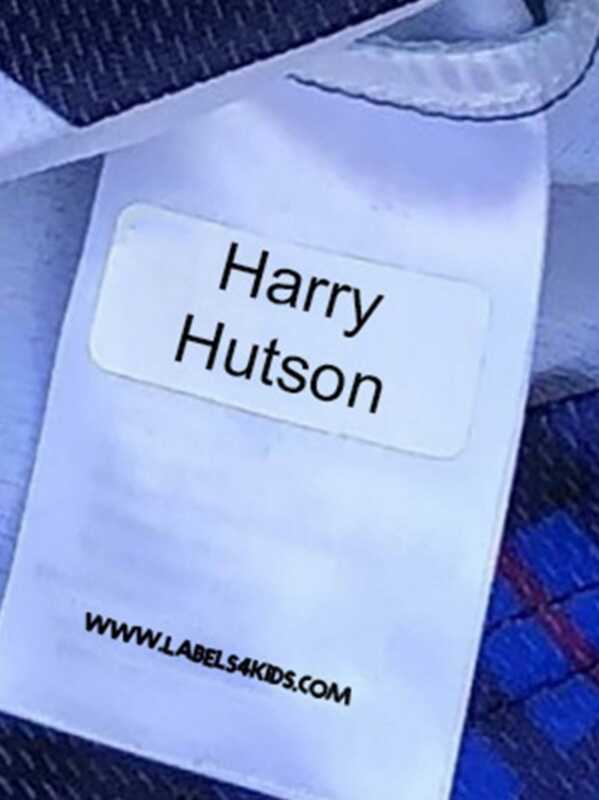 Buy the easiest application label for clothing now from Labels4Kids. 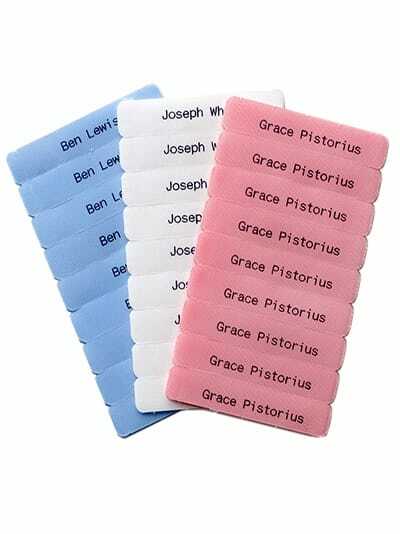 Personalise these labels with the name of your child, they will make very easy to identify school clothes. 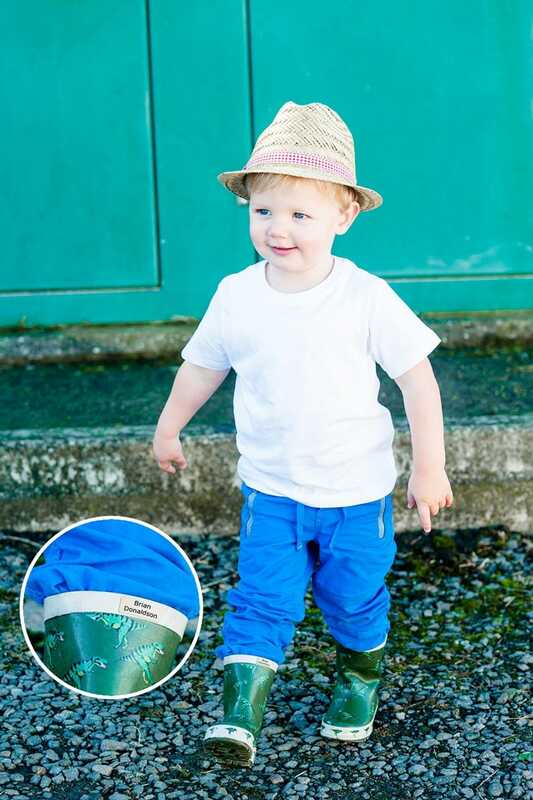 Stick on clothing labels successfully passed independent lab tests of BS EN ISO6330 wash testing (30 washes at 40 °C) through washing machines, tumble dryers, microwaves and dishwashers. Made in the UK. Dispatched within 48 hours. Best for forename on top line, surname second line. 1. 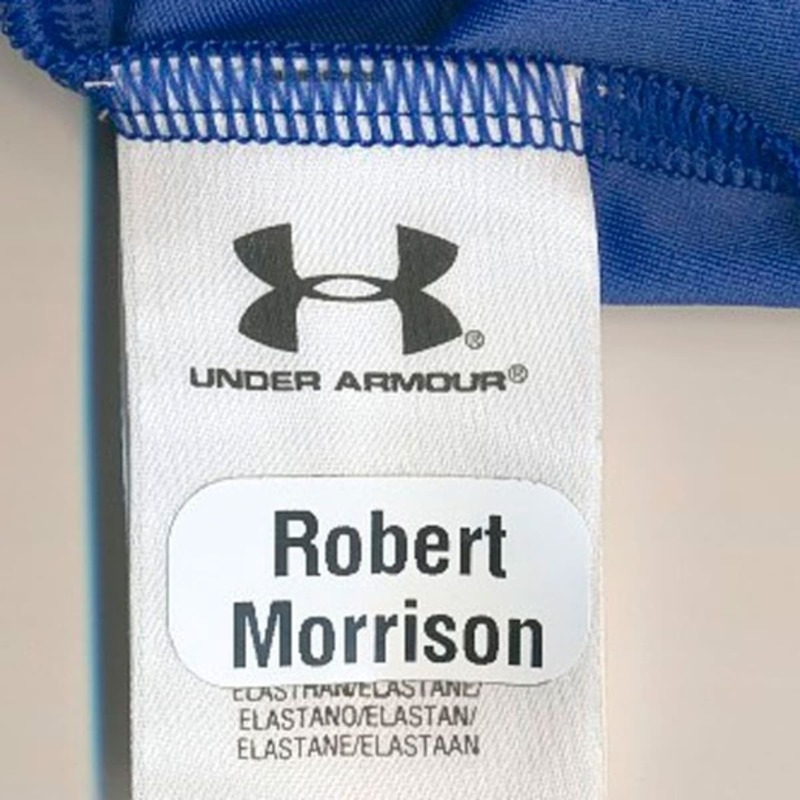 The garment care label must be clean and dry prior to label application. 2. Peel the label from its backing paper – taking care not to touch the stick on label. 3. Firmly press the printed part of the label onto the front of the wash-care label. 4. Using your thumb smooth down the label and hold down for a few seconds to ensure that the stick on label fully bonds with the material. 5. After label application do not wash the garment for at least 24 hours. As described and very good. Sticks to pretty much anything actually. Great for clothing and bags and lunchboxes. Stay on my daughter’s clothes! 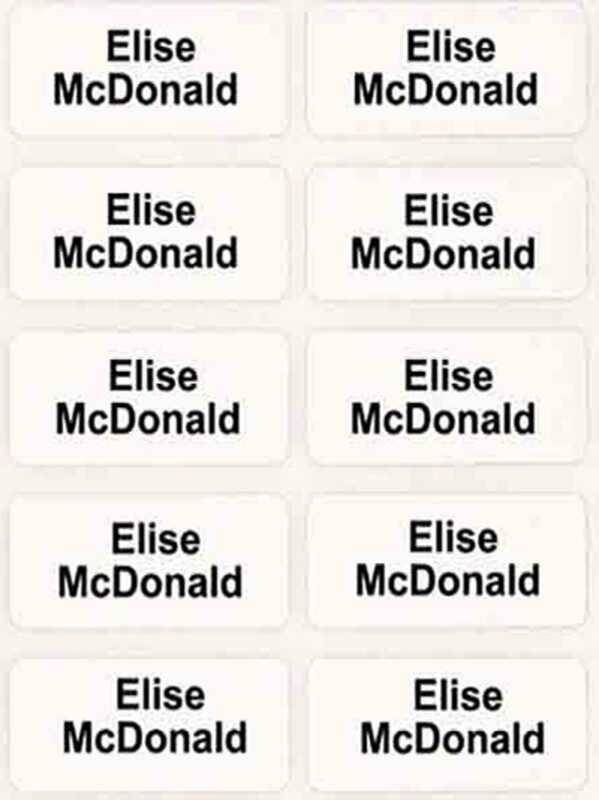 I used the name tags for my mother who is in a respite Care Home. Fast service & delivery. Products ordered good quality & price. I have ordered these before for my mother who lives in a care home & they survive the rigors of industrial laundry. Perfect! Saves writing labels or sewing! we were recommended these labels, however they have performed very badly for us; we followed the instructions very carefully and yet they simply come off after 1-2 washes at 30 degrees. the labels have remained attached to solid surfaces (ie a hockey stick) but are coming off all the clothes we... Read More. we were recommended these labels, however they have performed very badly for us; we followed the instructions very carefully and yet they simply come off after 1-2 washes at 30 degrees. the labels have remained attached to solid surfaces (ie a hockey stick) but are coming off all the clothes we attached them to.